Every year, our Partner, Zoho, puts on an incredible series of events better known as Zoholics. This year’s Zoho Developer Conference was a packed two-day experience. Focusing on Reports and Creator, the Zoho team engaged with users and developers alike to talk about their products, help people get started in the tool, and unveil of some very cool new features and services. From the keynote to the networking, this was not an event to miss. This year’s keynote was Zoho’s CEO and founder, Sridhar Vembu. Sridhar spoke as an academic. He discussed how in life, we will never really know everything about anything. In fact, in technology, those who come to accept that they will never really know how everything works will be the most successful. According to Sridhar, this is especially true when working with Zoho. His words make a great deal of sense. As a developers and users, we tend to want to know all the ins and outs of how something works because we think we’ll understand it a little better. The Zoho team is unique in the way they’ve made their products so simple for users. Simply drag and drop items to build, not only on the UI, but as a back end developer using Deluge. They have developed a service that provides the complexity that developers enjoy and the simplicity that end users need. Some of the most beneficial discussions occurred as the Zoho developers themselves presented to us. A presentation in this format makes it easy for the attendees and the Zoho team to communicate and understand any questions and concerns from both sides. It was a chance to actually speak to the team members who work on the back end for Zoho, the ones who develop this platform for us. Among the numerous presentations, were several motivational case studies. We heard from business owners who didn’t have experience in coding and working with scripting. These speakers revealed how easy it was to use Zoho Creator and how much they enjoyed the simplicity that Zoho provides in their product. Each case study focused on the respective speakers’ business model as well as the live versions of their current custom applications. It was proof that these tools are as easy to use as they are rumored to be. Delving into various topics, conference attendees took deep dives into Deluge scripting, learning how to write complex, yet simple code on the back end of Creator. Users from various businesses stepped into the world of Zoho for the first time and were able to ask questions to help better understand different ways to make their business more efficient. We walked through creating a simple custom application, from creating within the UI and then developing on the back end. For me, the best part of the conference was being able to network. Zoho provided an environment where business owners and representatives were able to find companies, like Cloudbakers, to help them with their custom needs. They offered a networking hour on both days, and had a “speed dating” session where we were able to sit down and speak with individuals, listen to their needs, and then provide real solutions for them within Zoho. It was a powerful way for us to help people on a larger scale and allow them to walk away with something great. 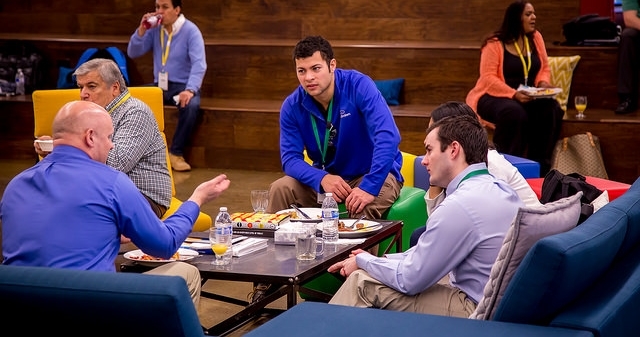 Ready to attend Zoholics? The next event is designed for Marketing & Sales. Visit the link for more information or register here. 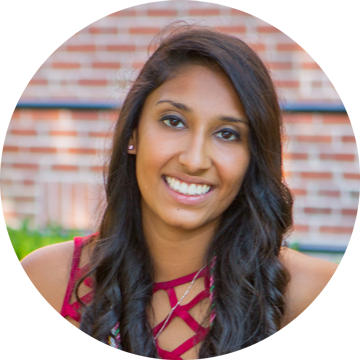 Author Bio: Priyanka is an expert in the CRM space.